Welcome to the Ferrante & Teicher page, a reference site for the renowned piano duo. This site is primarily a discography but also includes some rare photos and links to videos. April 2019 - I've been buying a lot of hybrid SACDs from Dutton Vocalion, the label that reissued F&T's In A Soulful Mood & Killing Me Softly back in 2013. They have been mining the vaults of Sony Music (who owns the RCA and Columbia catalogs) to reissue the stereo and quadraphonic mixes of artists such as Hugo Montenegro, Henry Mancini, Ray Conniff and Percy Faith. Please email them and request that they reissue a 2-on-1 SACD featuring both of F&T's quadraphonic albums: Midnight Cowboy and Killing Me Softly. March 2019 - Scott W. Smith's old www.ferranteandteicher.com domain name was offered to me a while back so I purchased it and it now redirects to this site. December 2018 - Friday Music released a 180g Lp reissue of We Wish You A Merry Christmas with a gatefold cover. I haven't purchased a copy yet. I'm not entirely sure that there is a market for F&T Lp reissues. What I really would like to see is their entire United Artist catalog - now owned by EMI - as well as their Westminster/ABC Records catalog - which I believe is held by Universal Music Group - made available as music downloads (with original album artwork) from Amazon and iTunes. I've given up hope of intact CD reissues; those should have happened between 1985 and 2005. Artists such as Bert Kaempfert, Ray Conniff and Percy Faith had their entire catalogs reissued many times over during that period. Now my only hope is that someone at those labels will realize that money can still be made. Sony does it. Why not Universal? Thanksgiving 2017 - My apologies to everyone who has emailed me during the past year. Somehow I overlooked the F&T inbox and just discovered I haven't looked at it since last Thanksgiving. I'm cleaning out all the spam and will respond to everyone who has contacted me. I'll put a tickler on my calendar to ensure I check it weekly in the future. 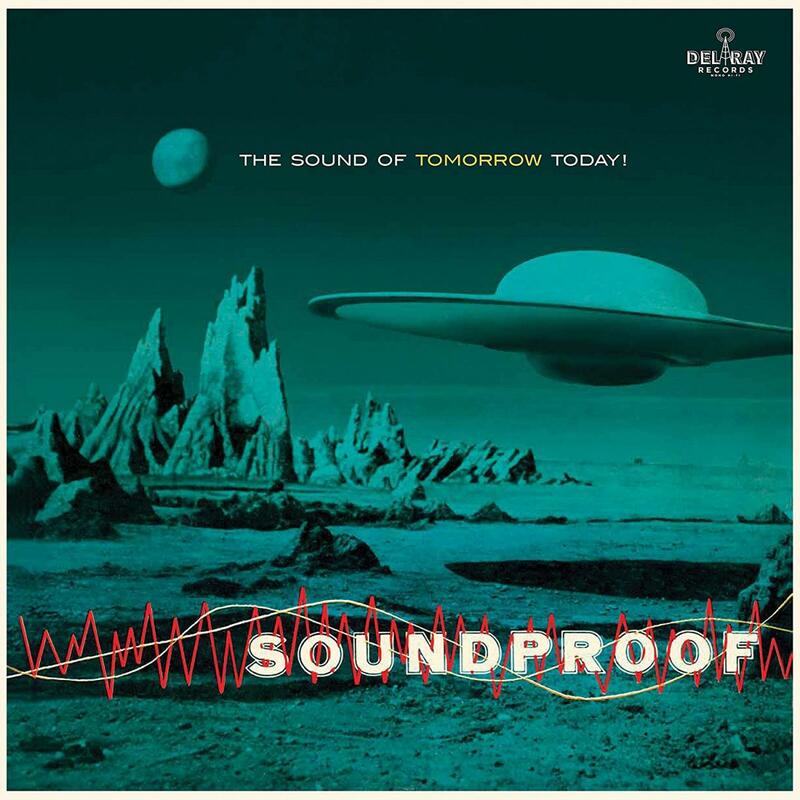 Recorded in 1955 and officially released right at the beginning of 1956 on Westminster Records, Soundproof is a 12-track artifact which breathes, lives and, expectorates due to the eclectic and partially labyrinthine yet always exquisite interplay between two of the very best pianists of their time. Having played together since the age of six, Ferrante and Teicher surely know how to let proper dynamics unfold. This is Space Age Pop, Exotica, Bachelor Pad, Lounge and Cocktail Music all rolled into one blissfully quirky album. 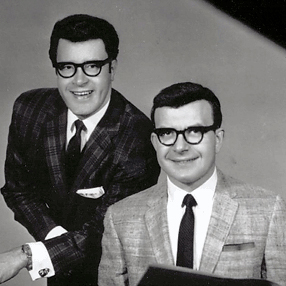 In America, Ferrante and Teicher enjoyed a long career with many chart hits, but this mid-century gem is one of their rarest and most sought-after releases. Features the iconic cover art taken from the legendary MGM sci-fi film Forbidden Planet. Friday Music had planned a limited edition 180g Lp reissue of We Wish You A Merry Chrismas with a gatefold cover. Amazon listed the release date as November 3, 2017 but it has not yet materialized nor is it listed on Friday Music's website. To me, this is a rather ho-hum release; there would be much more demand for Adventure In Carols with original cover art. On December 19, 2016 - Olddays Records (Japan) reissued Heavenly Sounds in Hi-Fi on compact disc in a mini-Lp sleeve. The disc includes the original cover art and a booklet in Japanese. On May 15, 2016, Scott W. Smith passed away at the age of 60. Scott worked with Ferrante & Teicher starting in late 1970s and created their official website, which is no longer online. I just learned of Scott's death in November 2017 and will post more about his contributions to the F&T legacy over the Christmas holiday. If anyone has information to share, please email me. If anyone happens to have a copy of Cool And Strange Music! 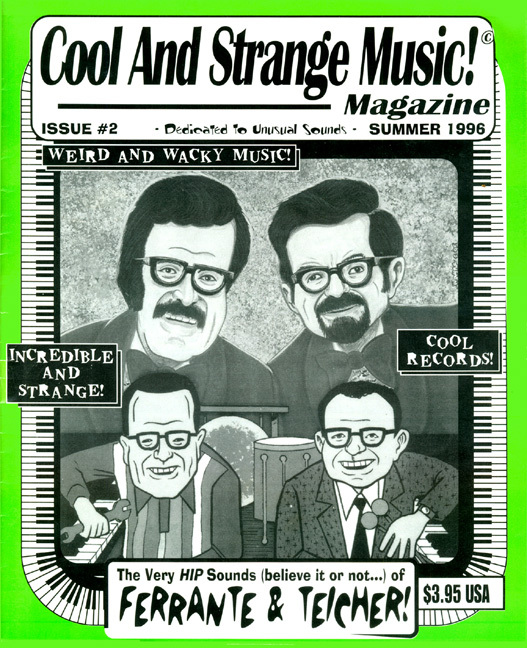 Issue #2 from 1996, please scan the F&T article and email it to me!